In 1959 it took just one round of voting to decide to award the Olympics to Tokyo, they had come last in the first round of voting for the previous Games. With 34 votes the Japanese capital soared through the threshold it required over Detroit, USA 10, Vienna, Austria 9 and Brussels, Belgium 5. The Japanese were the first Asian team to send a team to the Olympics as far back as 1912. They had been scheduled to host the 1940 Games both summer and winter, for the Summer Games the withdrawal of the candidature of London led to a two horse race between Tokyo and Helsinki which the former won 36 votes to 27. That honour got taken from them when they launched the second Sino-Japanese War. 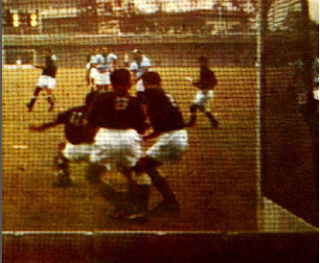 But 1964 saw the fourth continent to host the games when they finally came to Japan with this second invitation. 6 August 1945 marked the day that the atomic bomb was dropped on Hiroshima. But elsewhere in the city that day Yoshinori Sakai was born. Almost nineteen years later he was given the honour of lighting the cauldron in the stadium, the teen was a member of Waseda University's running club. He was to go on to win gold in the 1966 Asian Games 4x400m relay having picked up silver in the individual event. By 1968 he was working for Fuji Television as a journalist in news and sports and never took part in an Olympics as an athlete. Speaking of television this was the first Olympic Games to be telecast live across the world, or at least countries like the USA who had the facilities to cover it. Syncom 3 the world's first geostationary communication satellite was used to beam pictures to the USA and Relay 1 was then used to forward these to Europe. But it was also to be the last Olympics that the athletics would be run on a cinder track, from here on the tartan tracks that we are familiar with would be used. It was also the first in the while fibre glass poles were used in the pole vault. Northern Rhodesia sent 11 men and one woman to their first Olympic Games, taking part in athletics, boxing, swimming, wrestling with their sole woman Patricia Skinner talking part in the fencing. However, on the 24 July the day of the closing the country had gained independence and was known as Zambia. Also new to the Olympic family were fellow African nations Algeria, Cameroon, Chad, Congo, Côte d'Ivoire (as the Ivory Coast), Libya, Madagascar, Mali, Niger, Sengal and Tanzania (as Tanganyika). From Asia came Malaysia, Mongolia, Nepal, while the Dominican Republic from the Caribbean made up a total of 16 new nations. New to the Paralympics were Fiji, Japan, South Africa and as a separate state West Germany. After the opening ceremony however, the Libyan athletes withdrew from the games. This meant that Mohamed Asswai with a time of 54.3 secs in the 400m hurdles was the first Libyan Olympian to compete in Mexico City. While none of the new nations won medals Chad did have a finalist in men's high jump through Mahamat Idriss who came 9th jumping with one foot barefoot.There also had Ahmed Issa in the 800m who progressed to the semi-final. In the Paralympics South Africa were to make their debut just weeks after they were banned from the Summer Games for the first time due to the apartheid regime. Other new participants were Sweden, Fiji and the hosts themselves Japan. It joined the pantheon of Boxing and Wrestling of combat sports in the Games. 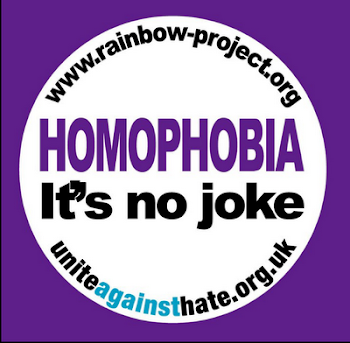 With the exception of 1968 it has been ever present since. Hardly surprising for a Japanese sport three of the first Olympic Champions were from the host nation. However, in the heavyweight division Akio Kaminaga who had secretly been nursing a knee ligament injury since the early stages of the competition came up against Dutchman Anton Geesink who unlike Kaminaga had won a world championship, in 1961 he came first while in 1958 Kaminaga had only come second. However, it was the superior grappling ability of the 6'6" Dutch Judoka that won the final bout after 9'33". Kaminaga was villified for failing to complete the clean sweep of the nations own sport and was forced to retire the following year due to a retinal injury. However, the match was between two of the top judokas and Geesink was the first non-Japanese to not only win a world championship but to have made a world final. 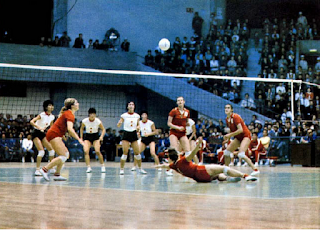 But volleyball was added to the games, a women's event was added late in the cycle to go along with the men's. In the men's tournament The USSR topped the table with just one defeat to the hosts Japan, which meant that they had beat Czechoslovakia who ended up taking silver with a similar 8 wins and one loss on points difference. The Japanese took the bronze having only lost to those two teams. 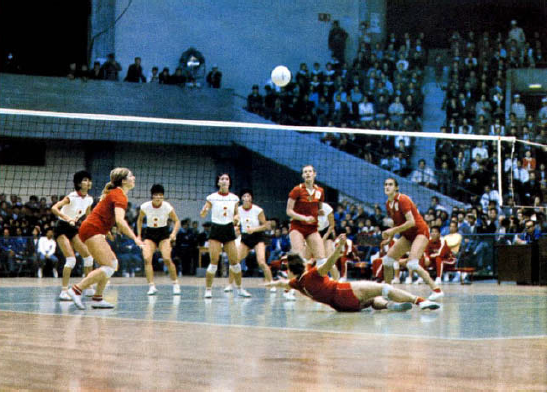 In the women's event meanwhile the host team went undefeated only dropping one set in the six team league to Poland, who by suffering a straight set loss to the USSR ended up only winning the bronze medal behind their eastern neighbours. The Paralympics athletics programme of 1964 introduced track events for the first time in the form of the 60m dash. With the end of cinder tracks to come in the future this element of their games was to expand over future Games. The men's race in the T10 category was won by Ron Stein (USA) who had won three gold's in Rome. Along with this new sport he defended his three titles in pentathlon, club throw and shot as well as threw world records in the javelin and discus. It brought his medal tally to 10 all gold, including the wheelchair basketball medal from 1960. It was still however, restricted to wheelchair participants, but unlike 1960 more than three competitors were entered in events so there was no automatic medal. This meant that Ireland and Fiji became the first nations to come to the Paralympics and return without a medal. In hockey the final was the third in a row and last so far to have featured both India and Pakistan. 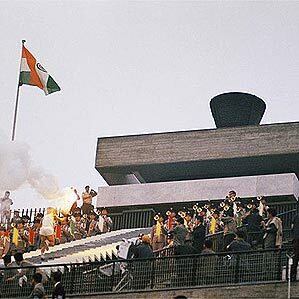 The subcontinent had dominated the sport at Olympic level since 1928 and would continue to do so for one more Games. But in 1960 India had lost their crown to Pakistan so when the two teams lined up on 23 July it was all to play for. In both their previous finals there had been a single goal that had decided the destinations of the gold and silver and in Tokyo it was to prove the same again. Five minutes into the second half Mohinder Lal found the net for his third goal of the tournament and India went on to secure the Olympic title. For Lal and other's it made up for only taking silver four years earlier. But little did the Indian hockey players know this would be that their last appearance in a final, until 1980 when they took gold and that was the only final appearance of the once dominant nation. 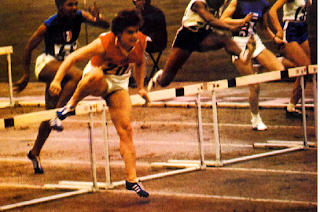 The USSR pair of Irina Press and Galina Bystrova took the lead after the first event running the hurdles in 10.7 secs with GB's Mary Rand and Germany's Helga Hoffman 0.2 sec but 35 points back. Press was to go on and finish 4th in the 80m individual final, Brystrova reached the semis but Rand who was entered didn't start her heat the day after the pentathlon finished. In the shot Press, who came 6th in the individual behind her sister Tamara's gold, putt for 17.16m longer than she managed in the individual. This was 2.68 metres further that GB&NI's Mary Peters, who also took part in the individual shot, who just threw one cm further that Brystrova, but Rand only managed 11.05 losing almost 400 points on Press the leader. In the high jump Rand fought back being one of only two athletes to go higher than 1.63m clearing 1.72m, the other was Australia's Helen Frith but Press was one of those jumping 1.63m. It pulled back almost 90 points for Rand. Day two started in the event that Rand had earlier taken individual gold three days earlier, the long jum with an Olympic record of 6.52m. She jumped the furthest taking 1111 points for a jump of 6.55m some 69 points more than Press with 6.24. It meant that with one event left Press was on 4287 218 points ahead of Brystrova who was 41 points ahead of Rand with Peters 127 points further back. With both Rand and Press being fast it was impossible for the Brit to overcome the Ukrainian Soviet athlete over 200m though she did run fastest in 24.2 secs it was only half a second and 48 points better than Press. Neither Irina nor her sister took part in international competition after 1966 when gender verification came into effect for female athletes (since 2000 this has been removed). In a very close 4 way contest for the 2016 Games Tokyo lost out to Rio de Janerio along with Madrid and Chicago. They along with Madrid are looking to try again when the 125th IOC Congress meets in Buenas Aires next September this time to host in 2020. The other candidates cities are Doha, Istanbul and Baku, so we may be back to the Tokyo or back to Spain with Madrid, or maybe off to pastures new. Update when the shortlist was announced for 2020 Tokyo were indeed still in the running along with Madrid and Istanbul.